Tahira Syed Pakistani Ghazal Singer. She is great Classical Music Artist of Pakistan, and she has sung lot of great songs and she create great name in Pakistan Music. She has sung hit songs in Urdu and Punjabi language. Her famous songs such as "Yeh Alam Shauq Ka Dekha na Jaey", "Chanjar Phabdi Na Mutiar Bina" and "Abhi Tu Main Jawan Hoon" in the tenure of 1970 to 1980. She is best Classical Music, Pakistani Folk Music and Ghazal Singer of Pakistan. She has received various Musical Awards in recognition of her achievements as a singer. In April 1985, she appeared on the cover of National Geographic Magazine. She has received Pakistan Television Lifetime Achievement Award and also received the Pride of Performance Award from President of Pakistan on 23 March 2013 and also she won the Nigar Award for Best Female Playback Singer. I have selected below most popular Music of Tahira Syed. 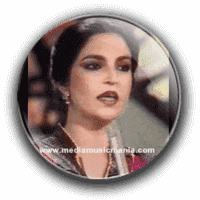 Tahira Syed was born on 1958 in Lahore Pakistan, she is great Folk Music and Ghazals Singer, she has performed well in Pakistan and foreign countries and she is most demanded Ghazals Artist of Pakistan. Tahira Syed got her initial Music training from Khan Sahib Akhtar Hussain. She started singing in 1968 in Radio Pakistan and also on Pakistan Television. Tahira Syed was very popular due to her great talent, and she is well known and famous among masses. She sung many Albums, she enriched the world of music and enthralled the audiences with her masterful artistry. Her soulful rendition has been bringing solace lot of hearts.